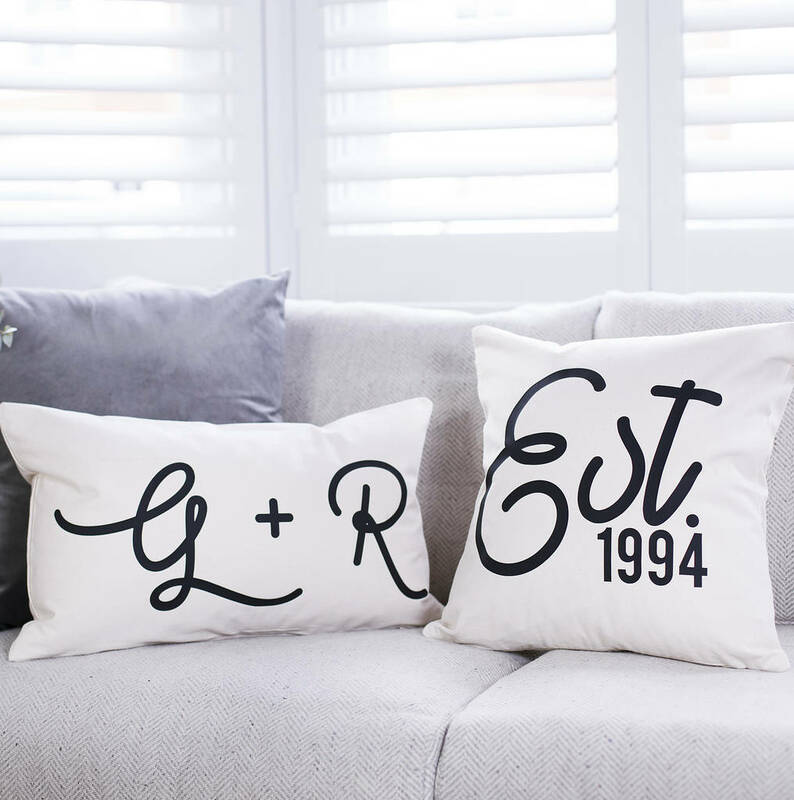 Make your loved ones feel extra special with our personalised couple's cushion set for the perfect new home gift. Made to order espcially for you, each couples cushion set consits of two cushions displaying your initials and anniversary date. 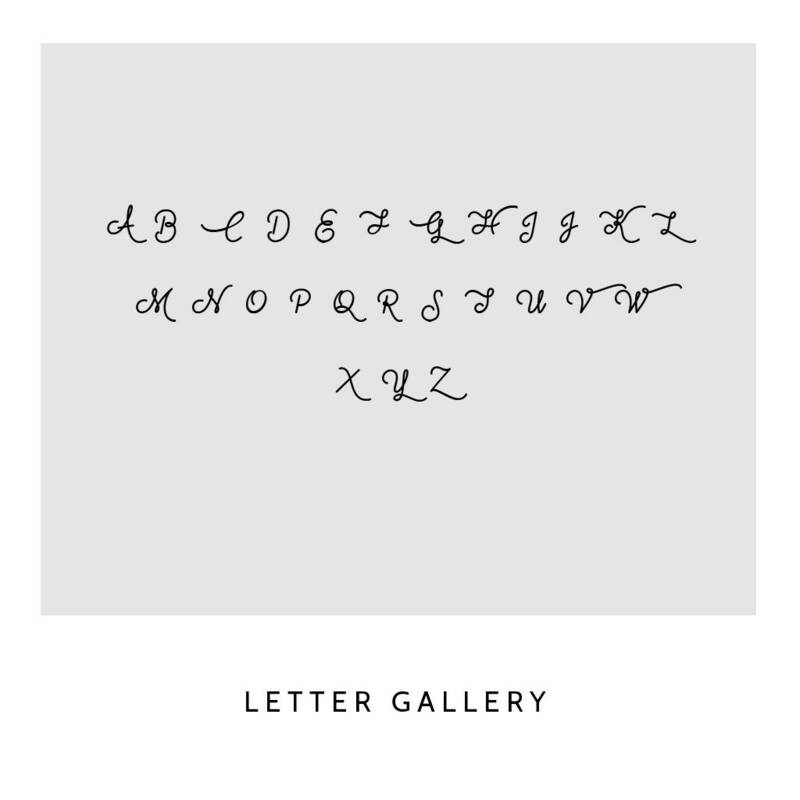 The recatangle cushion is personalised with your initials in a beautiful cursive font accompanied by a square cushion personalised with your established anniversary year. 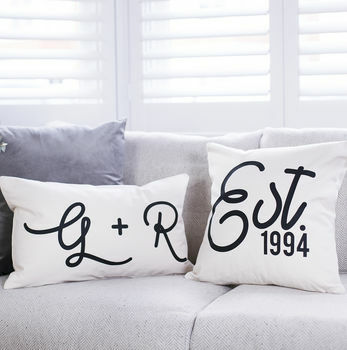 The ultimate homeware gift, each couples cushion set is perfect for any Anniversary, Engagement or Wedding. 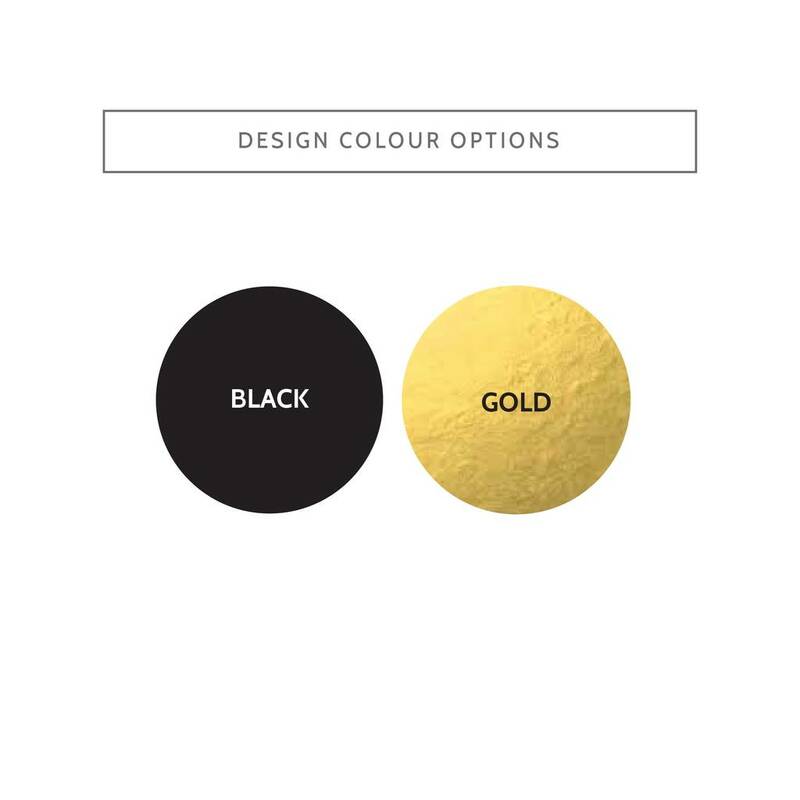 With each design available in a choice of black or gold, each couple's cushion set is a great match for your modern interior. Each cushion cover is crafted from 100% Cotton natural in colour, available with optional luxurious inner pads, perfect for that extra comfort! Our Cushion Covers are created using only 305gsm fairtrade certified canvas cotton. Inner pads are created from either our highest quality, non-allergenic, polycotton polyester or 100% Duck Feather, for a plusher experience.